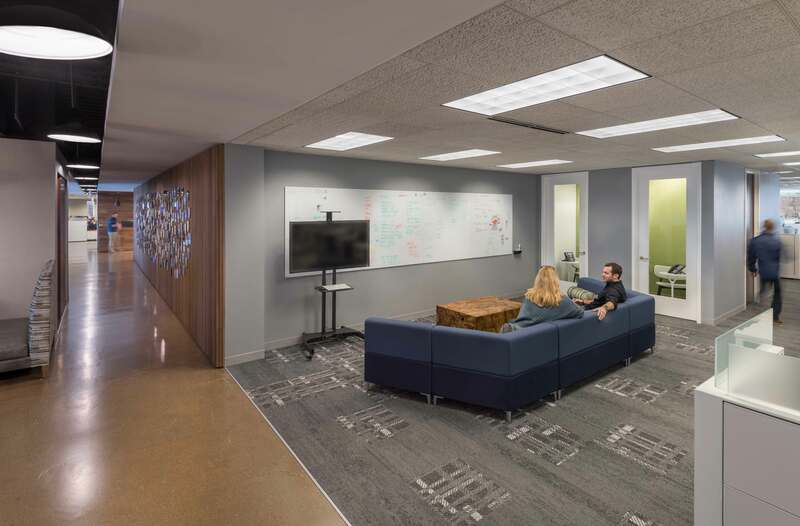 Blue Chip Marketing offers integrated marketing services that range from research and insights to branding, shopper and retail, media, digital, social, and public relations. 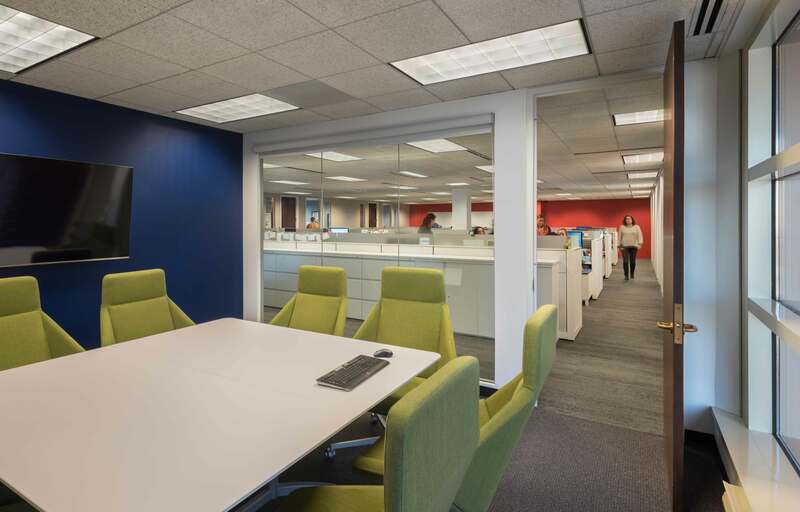 Wright Heerema Architects helped customize their existing space into a fresh and collaborative work environment. 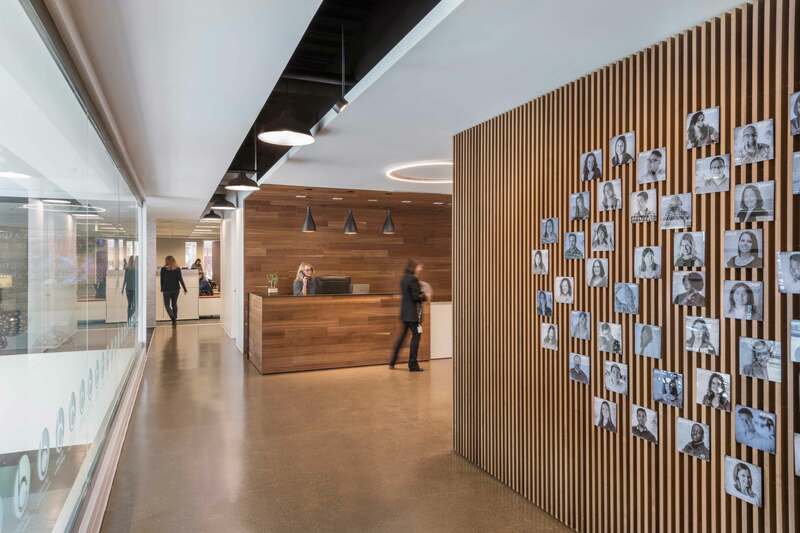 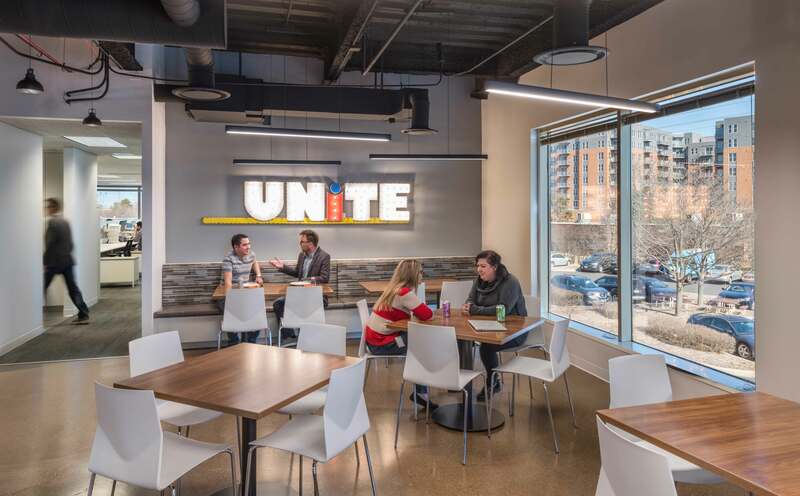 When their outdated main office in Northbrook, IL was ready for a refresh, Blue Chip Marketing enlisted Wright Heerema Architects to lead updates across floors 2, 3 & 4. 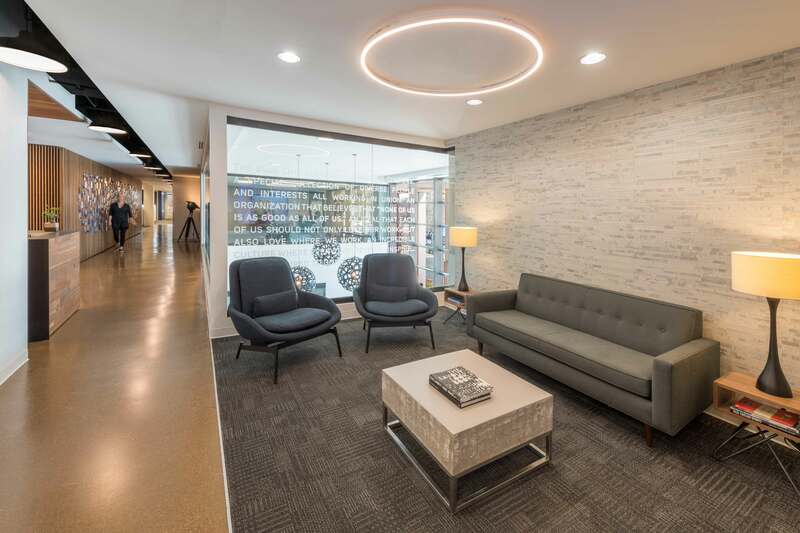 Designs included a welcoming reception area, space-efficient seating arrangements, private offices, formal and informal meeting spaces, multiple options for group collaboration, lockers for employee storage and a café break area. 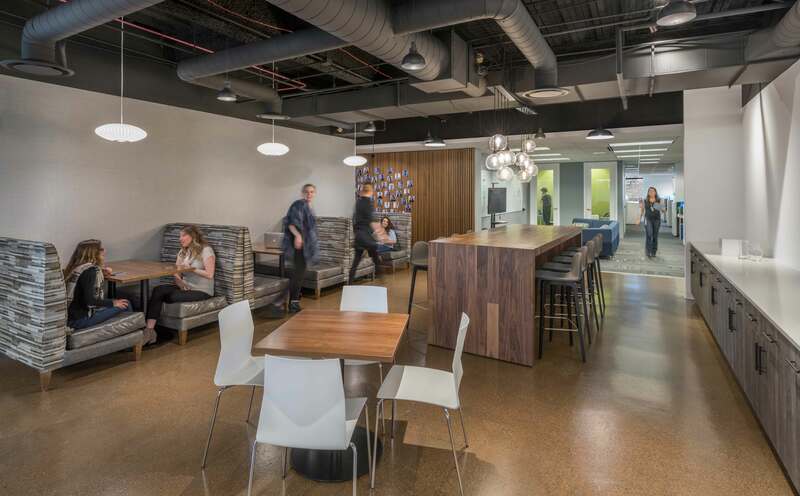 WHA’s designs helped Blue Chip customize their existing space where they will continue to call home.